There has been a fair share of leaks regarding Samsung's upcoming Galaxy Tab A (2016) tablet, which is supposed to feature an S Pen similar to that included in the Galaxy Note 7. 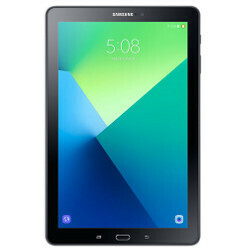 Previous reports indicate that the Galaxy Tab A (2016) looks exactly like the Galaxy Tab A 10.1 with the exception of the S Pen (SM-P580), which sets it apart from the current model. About a week ago, several high-quality pictures of the Galaxy Tab A (2016) leaked online, but if you want to see the slate from all angles you'll be pleased to know that a new set of pictures can offer you just that. The new pictures surfaced online recently seem like the sort of photos that are coming with an official announcement, which is why we believe Samsung is going to unveil its new Galaxy Tab A tablet pretty soon. If you haven't been in the loop with all the Samsung news, here is a quick rundown of what the Galaxy Tab A (2016) is supposed to bring to the table. First of all, it will sport a large 10.1-inch display and it will run Android Marshmallow operating system right out of the box. If that will be the case, we expect Samsung to try and provide an Android Nougat update in the not so distant future. Under the hood, the Galaxy Tab A (2016) is likely to pack a decent 1.6GHz Exynos 7870 processor, coupled with 2GB of RAM and 16GB of internal memory (expandable up to 128GB via microSD). Also, the upcoming tablet will be powered by a 7,300 mAh battery, which should provide users with enough juice to get them throughout the day. There's no word on price tag yet and we still don't know whether or not Samsung will launch two Galaxy Tab A (2016) models at the same time: LTE and Wi-Fi only. There is a version of the current Tab A 9.7" with an S-Pen. Also, why doesn't Samsung release a real Note tablet with specs similar to the Note 7 minus the battery and screen size, obviously.